سواءً كنت مسافراً بغرض السياحة أو العمل, 747 Motel هو خيار عظيم للإقامة خلال زيارتك ولنجتون. يمكن من هنا للضيوف الاستمتاع بسهولة الوصول إلى كل ما تقدمه هذه المدينة النابضة بالحياة. يشكل هذا الفندق ملاذاَ مريحاً للاسترخاء ويمنح زواره فرصة للاستجمام والتجدد، وهو يقع على بعد خطوات من المعالم السياحية الكثيرة للمدينة كمثل: The Children's Bookshop, New Zealand Academy of Fine Arts Academy Galleries, Death Ray Records. استمتع بالخدمات الراقية والضيافة التي لا مثيل لها بهذا الفندق في ولنجتون. يمكن الاستمتاع بمجموعة من الخدمات على أعلى المستويات في الفندق كمثل مرافق مخصصة لذوي الاحتياجات الخاصة, تسجيل وصول/خروج سريع, تخزين الأمتعة, واي فاي في المناطق العامة, صف السيارات. ادخل إلى واحدة من الغرف 8 وتخلص من عناء نهار طويل بمساعدة مجموعة كبيرة من الخدمات كمثل سجاد, تلفزيون بشاشة مسطحة, اتصال لاسلكي بالإنترنت, اتصال لاسلكي بشبكة الإنترنت (مجاني), غرف لغير المدخنين الموجودة في بعض الغرف. كما أن مجموعة الخدمات الواسعة الموجودة في الفندق لضمان راحتك تترك لك الكثير من الخيارات لقضاء وقتك أثناء فترة إقامتك. اكتشف مزيجاً ساحراً من الخدمة الاحترافية والخيارات الواسعة من وسائل الراحة والمتعة في 747 Motel. This motel is so accommodating to customers needs and the facilities are just what travelers on a budget require we usually depart early morning and return after midnight its no problem with 747. Our vehicle is parked close to the premises which is a saving also. Enormous comfy bed and pillows. comfy bed, clean. but we prepaid and arranged for an airport transfer at 5am, but when we tried to ring at 5am to get it, there was no answer, we rang again and again and eventually had to ring a taxi company and pay for two taxis as there were no taxis big enough for us and our luggage available at such short notice. By this time we were frantically trying to get to the airport before we missed our flight. So basically we paid $60 for a 5 minute drive to the airport. I have not heard back from the hotelier and I am now out of the country, but would be happy if he refunded the money to my credit card. Other than that it was a great room for a one night stop over. Staff lack knowledge of local area eg restaurants, directions from the airport to the motel. The motel is dated but clean and comfortable. Be nice to see curtains with mould on replaced and cracked flooring repaired. Good shower and beds! The location was a bit far from airport so had to use taxi if arriving, but on the plus side, near the shopping center and takeaways so food access is easy. Had a bathroom sliding door that can't close properly, so three stars only sorry. the staff is friendly and willing to help with the laundry. First impressions of the motel entrance were a little disconcerting a plastic bag a couple of bits of rubbish,dust and leaves under the corner of the seating area. Our room needed a little attention a picture was over the gib stopping that needed painting. The bathroom ceiling needed tidying up. The back of the entry door needed a good coat of paint. The staff were friendly and helpful. Everything works! It's just a little inconvenient to get to the centre. It's an old patient recovery centre so you might have to get over that particular drawback. It's very cheap but A-1 in all departments but distance to the centre. The room was small, but warm and comfortable. 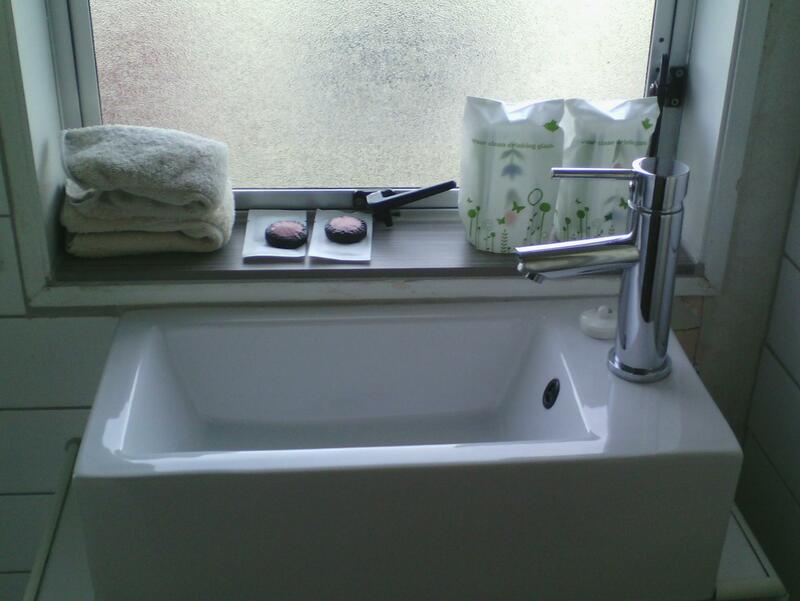 The bathroom looked like it had been recently renovated but the supply of hot water was intermittent. The shops and bus stops are handy. 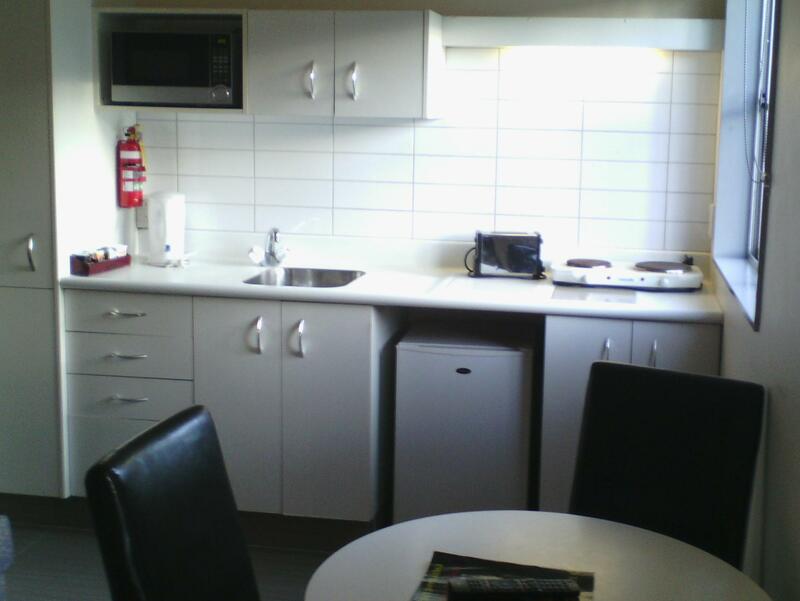 This accommodation was good value for money in our required location. Basic small room with kingsize bed. Costly price per night. Wonderful friendly staff. Dont understand why you can choose a check-in time before 1pm cause they actually tell you on arrival that check-in time is 1pm daily! So close to Wellington Airport and very easy to get to with the airport bus ($7 - just tell driver destination to be dropped off outside). Electric blanket and good shower. Owner very considerate. Arrived on cold winter night and being expected, having pre-booked from Sydney, the heater was on with room warm and inviting. Only 4 for food/drink as milk was that horrible long life product. Very short stay as checked in about 10.30pm and left at 4.30am. Had a great sleep during the time as the bed was very comfortable, and the shower was powerful to wake you up. Fairly quiet and great location to the airport. Bed crammed in. Bottom of fridge rusty. Handles missing. Old and dated. Poor parking for a motel. We never saw any staff. We received a text to say our room was number 7 and Our key was left on a bench in the room. There was no service of any sort. Only positive was that it was clean. The room was ok, looked tidy but smell something strange like smell of cat in the room. Checked in very late but the lady looked welcomed and friendly. Clean room. kitchenette, nice staff. Just a overnight stop on way out of Wellington. Clean room with nice kitchen to make a quick dinner. 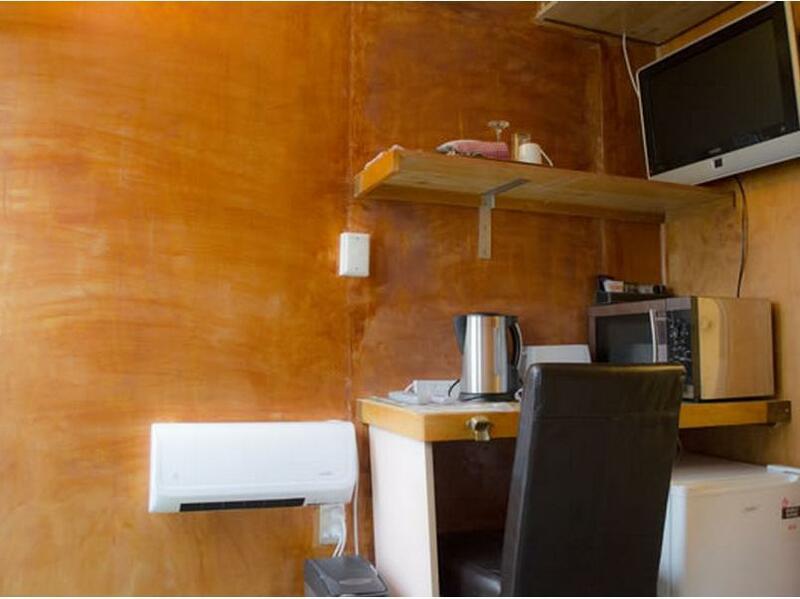 The place was very poorly decorated and stained carpets and stained bedside cabinets. Very disappointed and would not recommend anyone stay there.